Vancouver native Jim Nelfor had an impressive amateur playing career before turning professional in 1977. He won the Canadian Junior Boys in 1973 as well as the Canadian Men’s Amateur Championship in back-to-back years (1975, 1976). 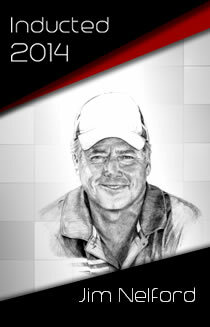 From 1978 to 1988 he played on the PGA Tour, finishing second twice. Nelford also represented Canada at two World Cups, winning in 1980 with partner Daniel Halldorson. Nelford was elected into the Canadian Golf Hall of Fame in 2013.